1. 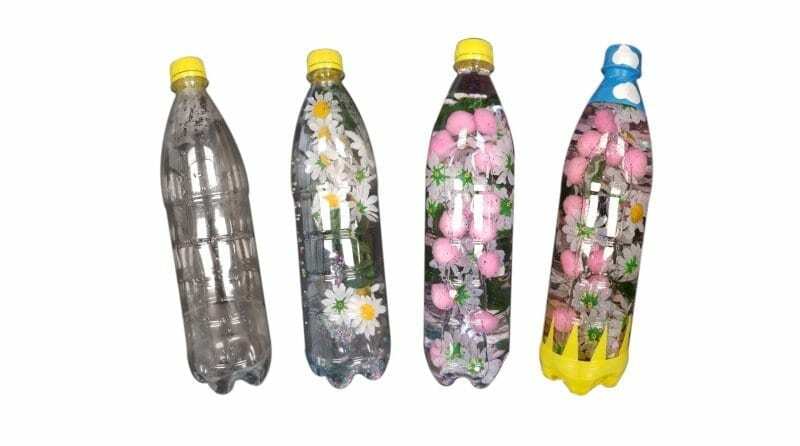 Remove the stems from the flowers and pop them in the bottle. 2. Add all the extra bits you want to include, such as glitter and gems. 3. Fill the bottle with water and secure the lid. 4. 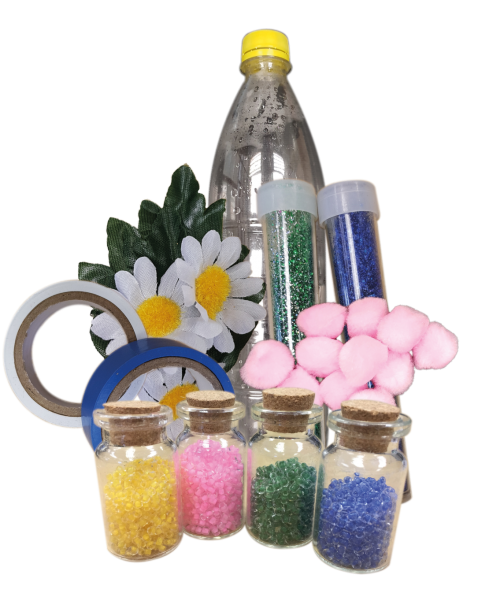 Decorate the bottle with insulating tape. You can add grass on the bottom or the sky with clouds on top. Be as creative as you want! Shake the bottle and have fun! Grasshoppers Day Nursery in St Albans, which is rated ‘outstanding’ by Ofsted, has been listed in The Times Top 100 Best Companies. Raelene Herd, deputy manager at the nursery said to the Herts Advertiser that the reason Grasshoppers Day Nursery was on the list, was that it’s not only children who get the best care and attention, but staff do as well. She explained and described the environment as being a “happy, supported staff team who love their work and workplace”. Staff also confirmed that the nursery is a great place to be. 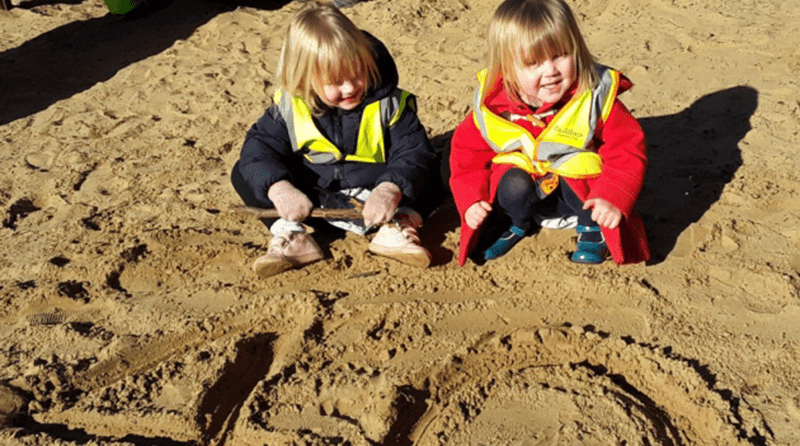 The nursery’s manager, Jenifer Neville, added: “We are thrilled our company is rated number 40 in The Times Best Companies list and recognised for our charity fund-raising, community initiatives and investment in colleagues. Last October a campaign was launched to encourage communities, including staff and parents, to collect tokens for a chance to win free books for their local schools. The feedback for the campaign was great, and hundreds of schools around Norfolk entered it, with the four settings with the most tokens getting the biggest prizes. The Earthsea School in Honingham won the first prize, and Ladybird Pre-school Nursery in Sheringham were second. Hickling Infant School and Saxlingham Primary won third and fourth place respectively. All four settings received £2,500 worth of free books each. 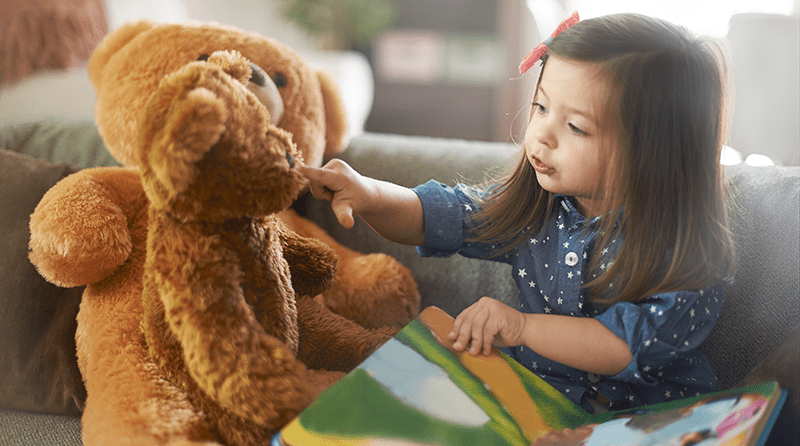 Schools which collected more than 1,000 tokens will get £100 worth of free books, with over 250 schools set to receive these. This means over 50,000 pupils will benefit from the books. Mrs Harris also added that with the remainder of the money, the nursery would buy copies of children’s favourite traditional books. Children in Robin class at Old Vicarage Day Nursery in Barrow had a celebration party after they received a letter from Prince Harry and Meghan Markle. Included in the letter, children received a photograph of the Duke and Duchess of Cambridge, Prince William and Kate, and their three children, Princes George and Louis and Princess Charlotte, as well as one of the Duke and Duchess of Sussex. 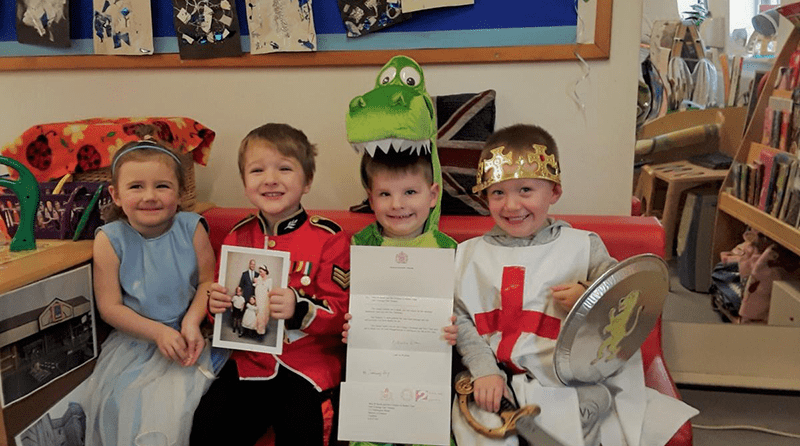 Children received the letter after being encouraged by the preschool teacher, Rachel Smith, to write a letter to the royal couple. Rachel Smith has spoken about the tradition of children sending letters to the royal family and responses they have received over the years. She told The Mail: “We sent a big Christmas card to Buckingham Palace in December which all the children got involved with and then we received a card back with a lovely photo of Meghan and Harry inside. “We organised a ‘royal party’ to celebrate and we had party food at snack time with mini cocktail sausages and cakes; then all the children made a crown. “Everyone came in dressed up in something regal and a couple of the boys came in dressed as St George and the dragon. “We always celebrate St George’s Day in April and we have been reading stories about it ahead of our royal tea party. 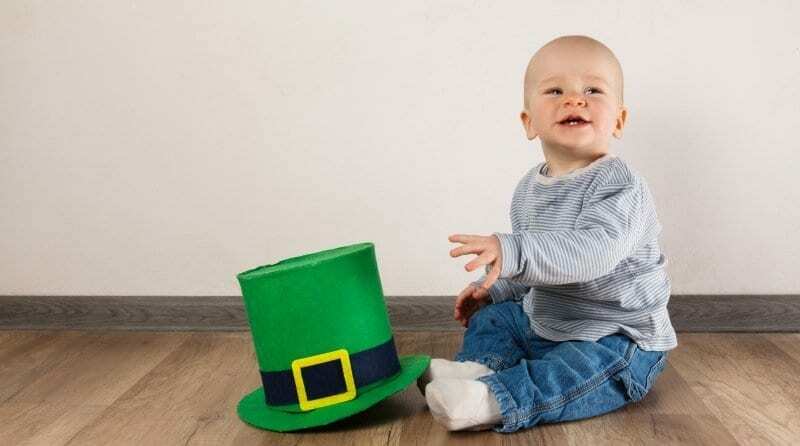 “We always enjoy incorporating different cultural celebrations into the curriculum at nursery, celebrating our own royal family underlines the British Values that we try to teach in the Early Years Foundation Stage.